Are you looking for a private dining restaurant for hire? 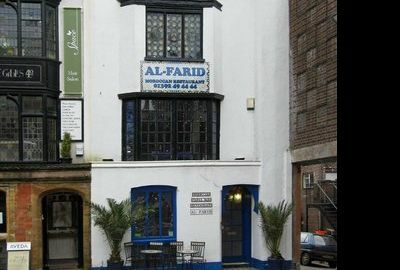 We recommend you to consider one of 102964 restaurants available in our catalogue. 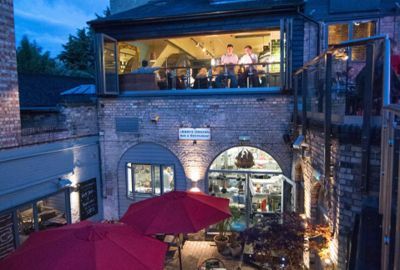 dArry’s, first opened in 2005, is one of the finest examples of the many and glorious independent restaurants of Cambridge. We are neither beholden nor tied, we make our own way by creating fresh food daily, buying local beef and barrel ageing our own drinks weekly. Our offer is driven by the creativity of our artisan staff, not by the food and drink developers of national brands. In the 2016 we re invested into the C19th George Scales Brewery above our kitchen creating an amazing Liquor Loft and sun trap roof terrace. dArry’s is proud to be independent and unique. Come and see the old Brewery, that once served a 3rd of Cambridge’s pubs, come eat with us and drink with us. Come try our barrel aged Negroni, our unfiltered draught lager, d’Arenberg wines or our Red Pole Steaks from Midsummer Common. Find us, hidden in the Centre of Cambridge on King Street, a 2 minute walk from the Market Square. Please come often and bring your friends. 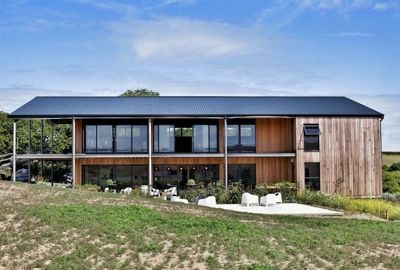 Nestled in the heart of the Cornish countryside, Trevibban Mill is an award winning Cornish vineyard with a spectacular wedding venue offering a stylish and contemporary space in a beautifully rural setting encompassing 11,000 vines and 1,700 apple trees. Enjoy exclusive use of the venue and grounds where your guests will enjoy a warm welcome whilst soaking up the views of the countryside from the South facing terraces – a truly magical and unique place to celebrate your wedding. The Head of Steam is Durham’s best kept secret and home to the finest selection of beers, ales and spirits from around the world. We’re all about great tunes and an atmosphere to match. Home cooked food is served every day with Sunday lunch cooking up a storm from 12 till 4. Want to pay us a visit? You can reach us by any bus travelling into Durham City Centre or train. 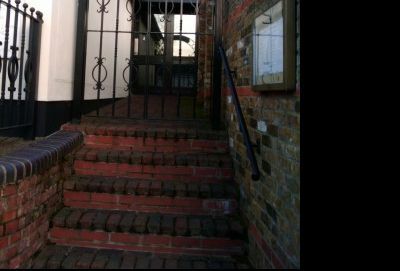 The Waterside is an Excellent Venue for all Parties, Birthdays, Weddings, Funerals and Corporate Events. 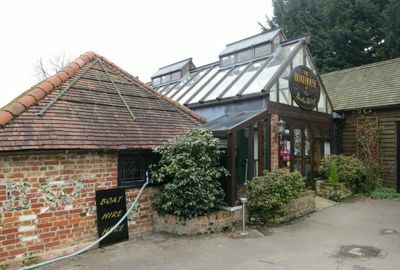 We have 2 large gardens, 3 rooms inside, and a car park. We can cater for up to 300 guests. 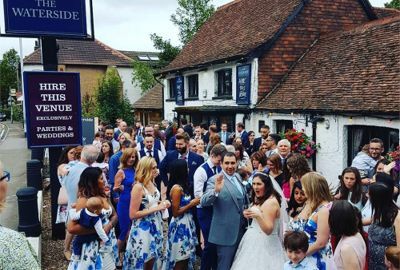 Once widely regarded as one of Hertfordshire’s quintessentially beautiful traditional pubs & one of the oldest in the area, dating back to the 18th century, ‘The Waterside’ is rich in heritage & history. We at ‘The Waterside’, offer expansive party packages and are open to tailoring our offer to suit your personal needs. With a friendly staff base and a fabulous setting, ‘The Waterside’ is the perfect place to bring friends and family alike. Our offer of exclusive hire makes your day our only priority, ensuring you and your guests receive all of our attention. 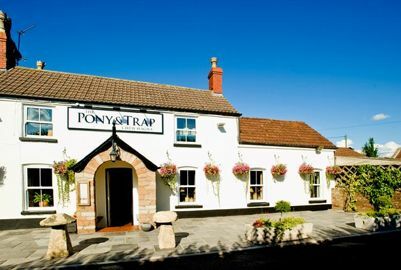 With an established reputation for quality, The Pony & Trap has held a Michelin Star rating in the Michelin Guide of Great Britain and Ireland since 2011. 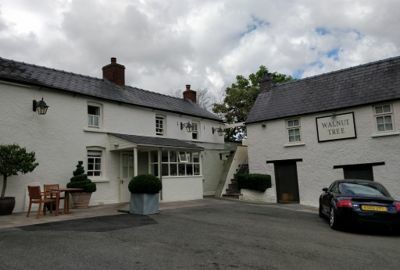 Holly Eggleton won the coveted Front of House of the Year at the Publican Morning Advertiser's Top 50 UK Gastropubs Awards 2014, while Josh picked up Chef of the Year. For many years our pub was used as a hospital and the beautiful views that you can now enjoy from our garden room, helped to lift the spirits of those convalescing. Now the building has been lovingly transformed into what you see today, a country pub bursting with character and original features with a big old bar at the heart of all things, serving local ales and packed with our collection of whiskies and gins. We have a mixture of rooms to suit your mood, light and airy or snug and 'beamed' with roaring fires, we even have a beautiful terrace just in case the sun shines on us. 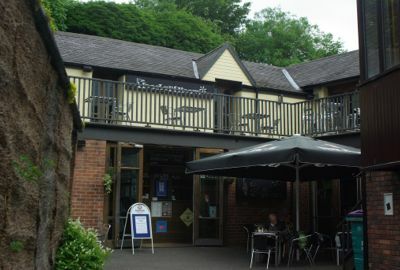 Originally built in 1874 by Francis Hurt, the impressive historical building sits proudly on the A6 connecting Ambergate to Buxton, Matlock and Derby. Passed through many hands, The Hurt Arms has now been taken over with the intentions of bringing this remarkable building back to its former glory. Serving locally sourced ingredients hand-crafted by our expert chefs, with a warm and welcoming atmosphere. We have completely transformed the Hurt Arms, and have created a boutique B&B and stunning industrial wedding venue. Welcome to Da Vinci’s, the best Italian restaurant on Poole Quay and only a stone’s throw away from the water’s edge. Established in 1993, Da Vinci’s is a family-run business, specialising in fresh, local ingredients, cooked in true Italian style. Whether you are seeking a casual pizza supper in a cosy Italian atmosphere or a special meal in a venue that can cater for your special occasion, Da Vinci’s has the answer. 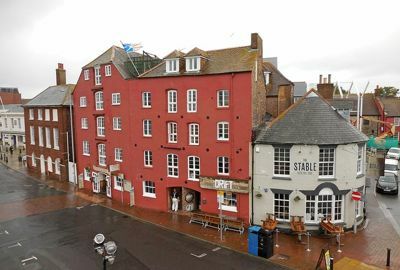 Our beautiful Italian restaurant in Poole has a cosy downstairs right on the Quay front and own upstairs dining room features seven windows overlooking the harbour. 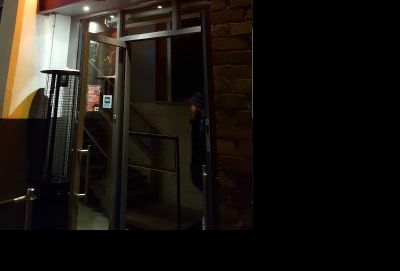 Da Vinci’s Paradise Bar can be exclusively hired as a private function room and is the perfect venue for a small family christening or office party in Poole. We are a comfy contemporary café bar in the heart of Aylesbury. 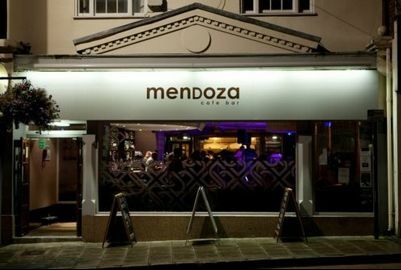 Whether you'd like a freshly-cooked Full English Breakfast, a delicious pizza or a sizzling hot rock steak, Mendoza is the place to be. We boast a fine selection of wines, beers and spirits (not forgetting our fabulous 2-4-1 cocktails! ), so you're sure to find something to take your fancy. The heart of Russells Restaurant is a magnificent timbered tithe barn, Grade II listed as being of architectural and historical Importance. The barn has been dated by experts as being originally built in 1372, so making this one of the oldest surviving buildings in the Chelmsford area. 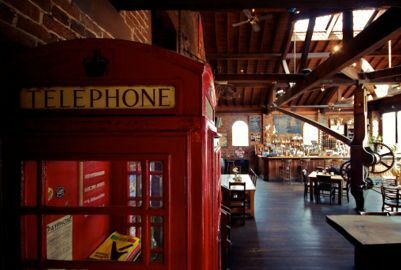 As you walk in to the restaurant, you will be amazed; the spectacular high vaulted ceiling with its magnificent beams, you will be greeted by staff that will do anything to make your visit just perfect. To the left as you walk in is a tastefully decorated lounge area where drinks and nibbles are served. Then as you walk through the main restaurant you will see high up the barn balcony overlooking the main restaurant. This area creates a wonderful dramatic view while you enter a world of elegant fine food, wine and service. To the top of the restaurant, to the left is our green gallery, a long room with its artistic muriel on the far wall, it’s the perfect place for any private party. 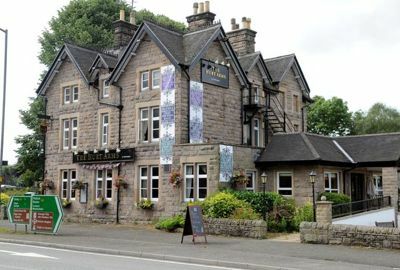 Russells Restaurant opened in 1989, but was taken over by Barry Warren-Watson the present proprietor and executive head chef in 1991, where he continues to take the restaurant from strength to strength. He has always had a hands on personal touch to the business, and with his excellent team hopes to take the business right in to the future. 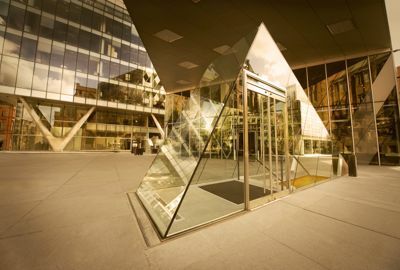 Located underneath the Armani store in Spinningfields, on Deansgate, the Pacific Rim pan-Asian themed offers a menu devised by former Young Australian Chef of the Year, Paul Greening. Whether it’s a laid-back lunch with friends, post-shopping drinks or a wild night of partying, you can enjoy innovative cocktails, freshly prepared seasonal dishes or a packed dancefloor… All under one roof. Got a special occasion coming up? Get in touch with our Events Team, to see how we can make your birthday party, Christmas night out or private function one to remember. Umar ibn ‘Al-Farid’ was an Arab poet, his poetry is entirely sufic, and he was esteemed mystic poet of the Arabs. Our head chef has created a thoughtful menu that delights the taste buds. A firm favourite is the mezze, an array of small succulent dishes. The mezze comprised both cold and hot dishes and offers a wealth of colour flavour, texture and aroma. A choice of traditional Moroccan dessert is an offer to complements the meal, expect Baklava a sweet pastry, and Mahlabia, rice pudding with rose water. Also the drink menu is Moroccan national drink, Arak, which has an aniseed base, and a variety of fruit juices. To finish your meal you cannot miss out on one of our Moroccan coffee, flavoured wit natural cardamom, cinnamon or rose water. No Moroccan meal is complete without smoking an authentic hooka pipe. Each day the water pipes are packed with fresh flavoured tobaccos, choose between apples, strawberry, cherry, rose, grape or fruit cocktail. 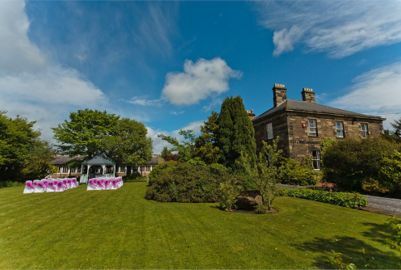 Horton Grange Country House Hotel is a privately owned, intimate Grade - II Listed Country House Hotel set in the heart of Northumberland. Our well renowned Restaurant is the perfect setting for everyday dining, and our luxurious Lounge areas are a delight to enjoy Afternoon Tea. 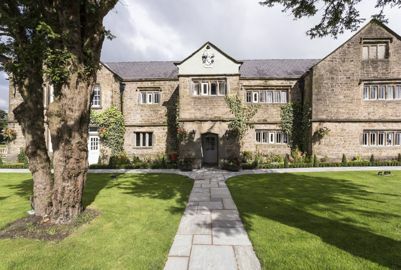 We are also available for private, exclusive hire, making Horton Grange Country House Hotel one of the premier wedding & special event venues in the region. With panoramic views over the River Lea and woodlands beyond, a wealth of stunning photographic backdrops await you on your special day. Licensed for wedding ceremonies, five luxurious function rooms, 84 bedrooms and its own leisure facilities, Warren Weir is the ultimate hotel wedding venue in Luton and the surrounding Hertfordshire and Bedfordshire areas. Warren Weir offers complete seclusion and the most idyllic English countryside setting for larger wedding celebrations. Warren Weir is available for exclusive use and is set amidst rolling woodland and water meadows, making it the perfect unique wedding venue for those looking for the best. With capacity for up to 290 guests and its own indoor pool and fitness suite, there is no other wedding venue like it. Whether you require a civil ceremony, civil partnership, or want to convert your civil partnership to a marriage, we have the perfect setting available with plenty of beautiful backdrops to capture the special moment. Luton Hoo has long been considered a romantic hideaway, with Queen Elizabeth and the Duke of Edinburgh often returning in the early years of their marriage to celebrate their wedding anniversary. It would seem that weddings at Luton Hoo come with a certain Royal approval. The grade I listed Mansion House creates one of the most impressive looking wedding venues in Bedfordshire and Hertfordshire. 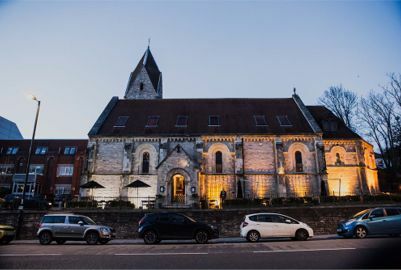 Its history, marble interiors and beautiful period rooms, including a spectacular converted Russian Orthodox Chapel, are enough to make anyone feel extra special on their wedding day.